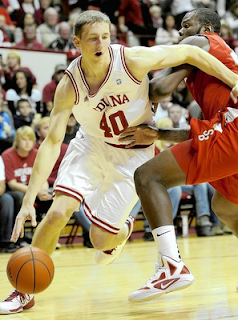 Cody Zeller burst onto the national scene in his freshman season at Indiana, showing a mature game and a ton of talent. Very quick and agile player who can outrun most other power forwards. Has good body control and uses his length well to score inside. Very skilled with the ball in his hands and can score in a variety of ways. Shoots the ball well out to 18 feet and has an assortment of back to the basket moves, jump hook, drop step and spin move. Runs the court very well and catches the ball well. Shows a lot of hustle on the court and plays a complete game. Puts in work on the defensive end and hits the boards hard. 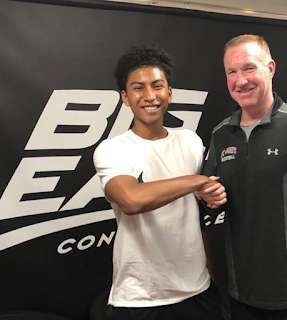 Gets a lot of steals and seems to have an advanced understanding of how to play defense. Needs to add strength and continue to improve his mid range shooting. Not an elite shot blocker and may end up as more of a stretch four than a true post player.